Over the past few months, members of Cranleigh Rotary Club have raised thousands of pounds for local charities. The Santa Dash on 10 December, which was fully subscribed, raised £720 towards books and other resources for local schools. This was followed by the Rotary carol concert, in which three local junior schools entertained the audience in the Cranleigh Baptist Church. The retiring collection resulted in net proceeds of over £100 going towards the village food bank. Rotarians were also busy with a 3-day Rotary street collection that took place in the village before Christmas and raised almost £1,400 for Shooting Star Chase, which has a hospice based in Artington, near Guildford. Many Rotarians spent several hours with collection buckets during the wintry weather to support this remarkable organisation. 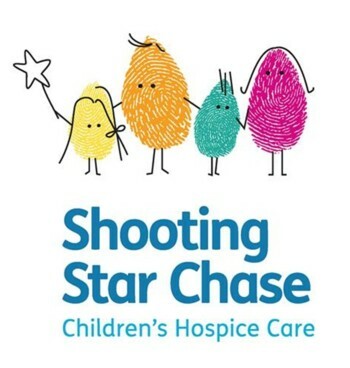 Shooting Star Chase is a leading children’s hospice charity caring for babies, children and young people (up to age 21) who have life-limiting conditions and belong to families living in Surrey and London (www.shootingstarchase.org.uk). Their care, which embraces the whole family, extends from diagnosis through to end of life, and throughout bereavement. They offer a bespoke service to suit each member’s individual needs; this support is free of charge and available 365 days a year. "As ever, Cranleigh Rotary is grateful to the local community for their ongoing support for local charities," said Rotarian David Barry. "We are also grateful for the courtesy afforded Rotary by the managers of the High Street retail premises outside which the street collections are made, namely Co-Op, Marks & Spencer, Sainsbury’s and Manns."